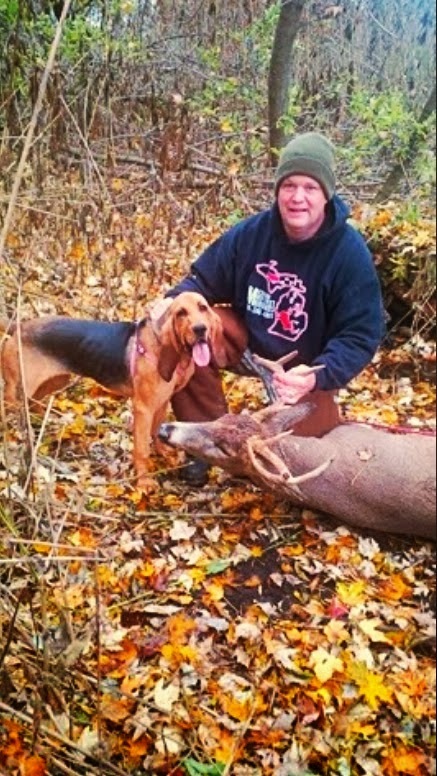 MICHIGAN DEER TRACK'N HOUNDS LLC Michigan's Professional Deer Blood Tracking Dog Services: Brooklyn Mi. 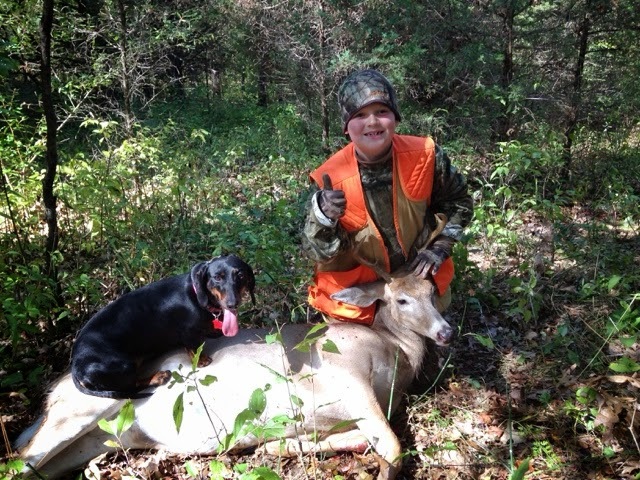 Youth hunt successful hunters. Brooklyn Mi. 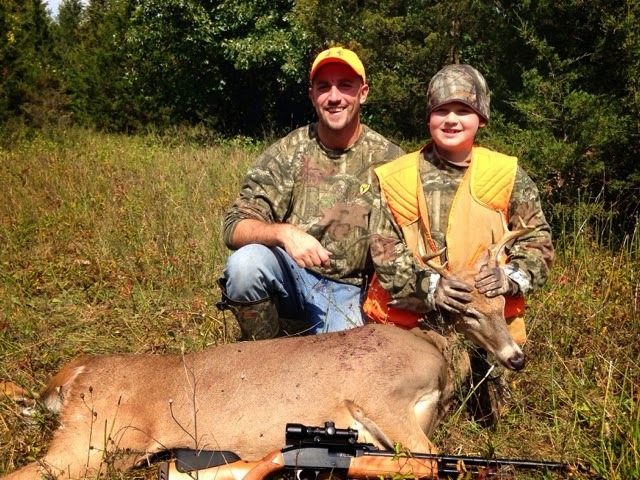 Youth hunt successful hunters. Alex Sherman 8 years old!! made a great shot on his very first buck. Alex was using a 20 gauge. The buck ran about 70 yards leaving virtual no blood to eye track. 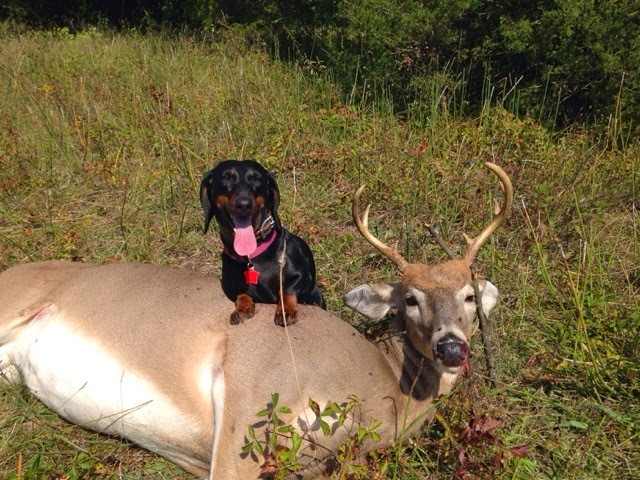 The slug did not pass through the buck. The slug was lodged in the opposite shoulder. Alex dad Eric was not going to risk losing his son first buck. 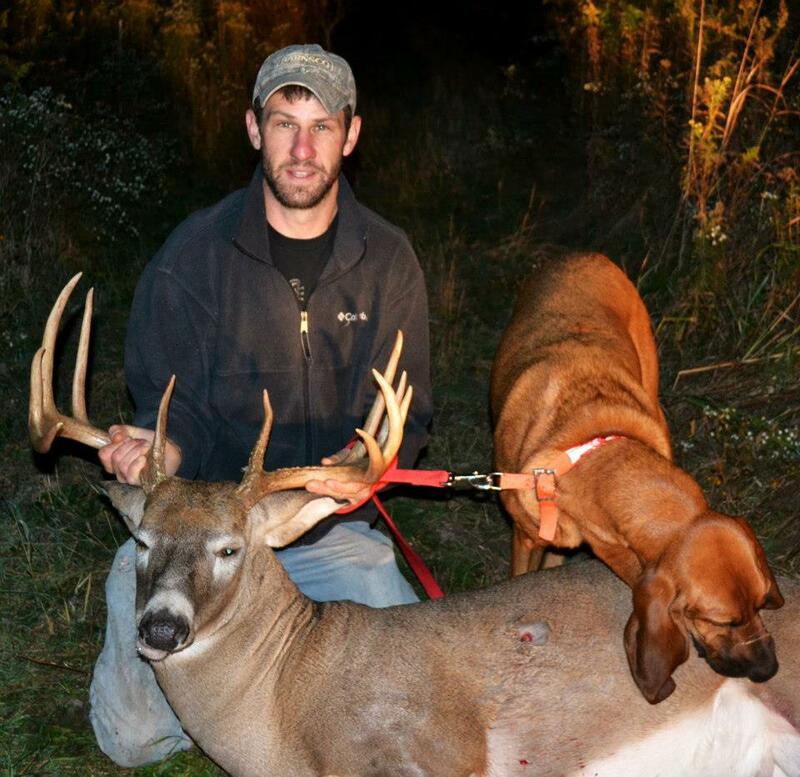 After eye tracking for 30-40 only and finding just a few drops of blood he backed out and brought in the hound. The buck was only 25-30 yards farther then where he stopped and backed out. In the end a dog wasn't needed. Better safe then sorry. 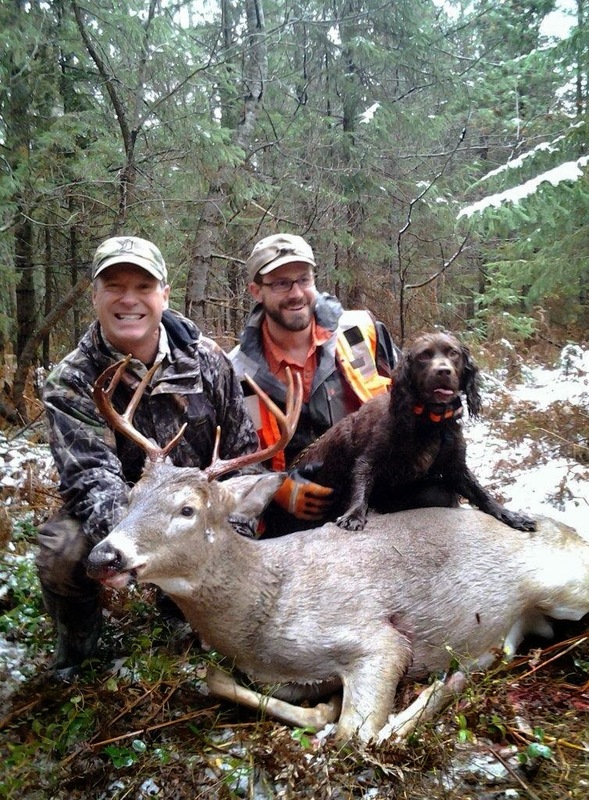 Labels: Michigan 2014 youth hunt.